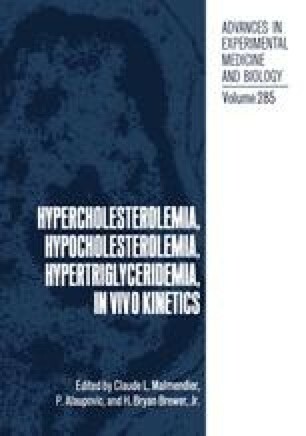 Human plasma lipoproteins are complex assemblies of lipids and proteins whose identities are operationally defined by the densities at which they are isolated as the high, low, and very low density lipoproteins, HDL, LDL and VLDL, respectively. Lipoproteins transport glycerol and sphingolipids as well as free and esterified cholesterol along with apoproteins which may, depending on their identity, activate lipolytic enzymes or serve as ligands for receptor-mediated endocytosis. In addition to these important proteins, human plasma also contains a number of proteins that transport monomeric lipids between lipoprotein classes. Most notable among these are cholesterol ester transfer protein and phosphatidylcholine transfer protein. Lipolytic enzymes, lipoprotein receptors, and lipid transfer protein are the major endogenous factors that modify the concentration, composition, and structure of plasma lipoproteins. The major exogenous factors are found in the diet and include the amount and kinds of fatty acids that are consumed.